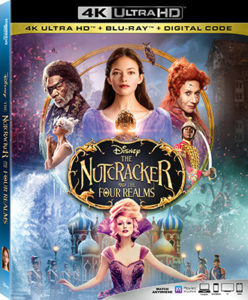 Walt Disney Studios Home Entertainment will release The Nutcracker and the Four Realms on Blu-ray, DVD, 4K Ultra HD Blu-ray and digital Jan. 29. Inspired by E.T.A. Hoffmann’s short story “The Nutcracker and the Mouse King” and the ballet The Nutcracker, the film tells the story of 14-year-old Clara (Mackenzie Foy), who travels along a golden thread, presented at Drosselmeyer’s (Morgan Freeman) annual party, eagerly searching for a one-of-a-kind key that will unlock a music box that holds a priceless gift. When she enters a mysterious parallel world, Clara encounters a Nutcracker soldier named Phillip (Jayden Fowora-Knight), a gang of mice and three Realm regents, including the Sugar Plum Fairy (Keira Knightley). Ultimately, she must brave the Fourth Realm, home to the tyrant Mother Ginger (Helen Mirren), to retrieve the key and return harmony to the unstable world. 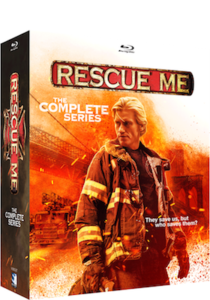 Blu-ray extras include: “On Pointe: A Conversation with Misty Copeland,” in which the actress discusses playing The Ballerina Princess; “Unwrapping The Nutcracker and the Four Realms,” a look at the production design, sets and costumes; five deleted scenes; and music videos for “Fall on Me” by Andrea Bocelli featuring Matteo Bocelli, and Tchaikovsky’s “The Nutcracker Suite” performed by Lang Lang. 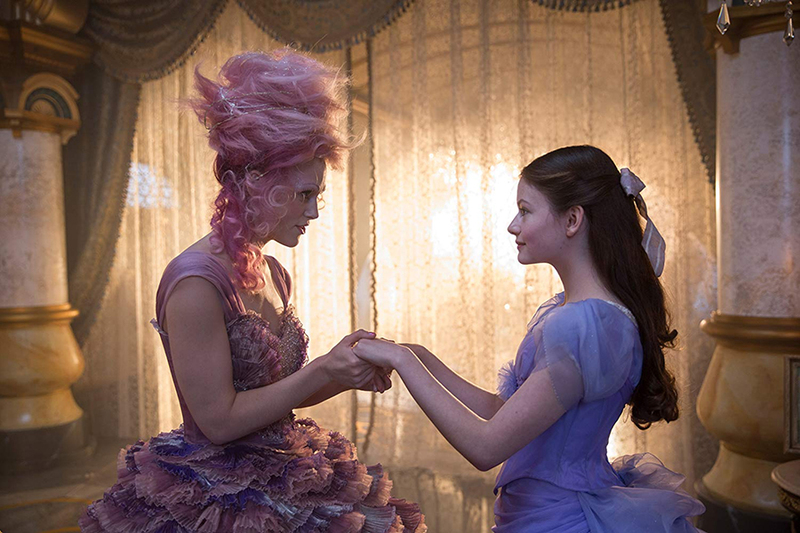 Another featurette “Unwrapped: The Visual Effects of The Nutcracker and the Four Realms,” will be available exclusively with the digital edition. 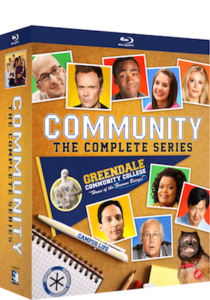 Digital bonus materials may vary by retailer. Gosford Park and Gas Food Lodging are among four Blu-ray releases coming in November from Arrow Video and MVD Entertainment Group. 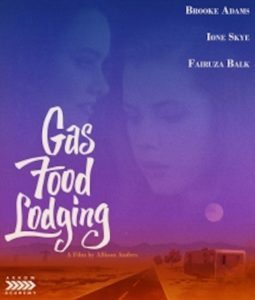 From Arrow Academy Nov. 13 comes Gas Food Lodging. 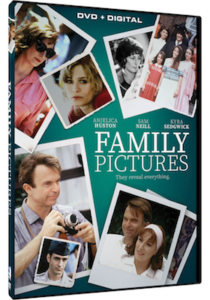 Based on a novel by Richard Peck and directed by Allison Anders, this story of a young single mother desperately trying to find love was a hit at the 1992 Berlin International Film Festival. 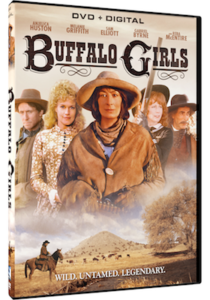 This newly restored release comes director approved and contains a number of special features, including “The Road to Laramie: A Look Back at Gas Food Lodging,” a new interview with Allison Anders and Josh Olson; Cinefile: Reel Women, a 1995 documentary by Chris Rodley looking at the challenges women face in the film industry and featuring interviews with Anders, Kathryn Bigelow, Jane Campion and Penny Marshall; a reversible sleeve featuring original and newly commissioned artwork by Matthew Griffin; and for the first pressing only, an illustrated collector’s booklet featuring new writing on the film. 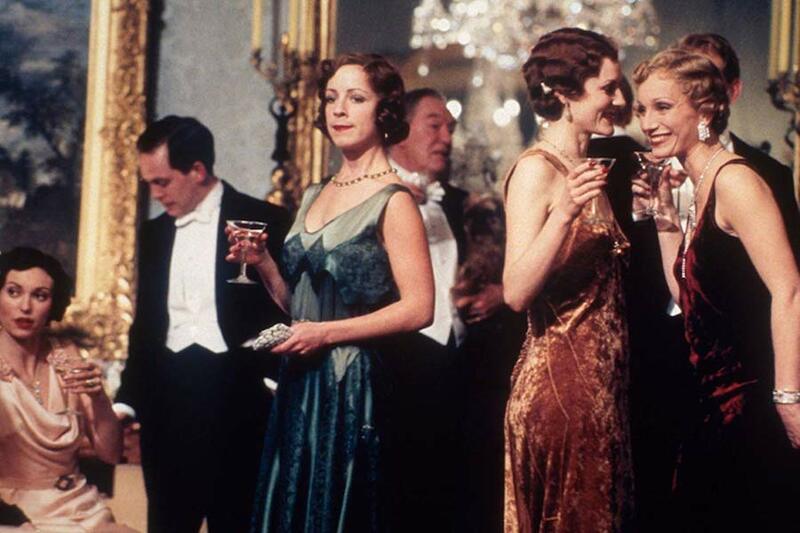 Due Nov. 27 from Arrow Academy is director Robert Altman’s Gosford Park, starring Alan Bates, Kristin Scott Thomas, Bob Balaban, Michael Gambon, Helen Mirren and Clive Owen. The murder-mystery features a new 2K restoration from a 4K scan approved by director of photography Andrew Dunn. 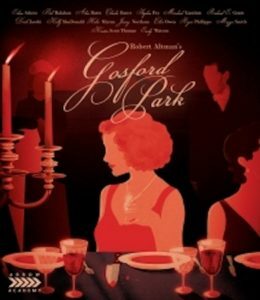 Special features include audio commentary by Altman, production designer Stephen Altman and producer David Levy; audio commentary by writer-producer Julian Fellowes; new audio commentary by critics Geoff Andrew and David Thompson (author of Altman on Altman); an Introduction by Andrew; new cast and crew interviews recorded exclusively for this release; the “The Making of Gosford Park” archive featurette; the “Keeping Gosford Park Authentic” archive featurette; a Q&A Session with Altman and the cast; 15 deleted scenes with optional Altman commentary; a trailer; reversible sleeves featuring original and newly commissioned artwork by Matthew Griffin; and for the first pressing only, an illustrated collector’s booklet featuring new writing on the film by critic Sheila O’Malley and an archive interview with Altman. 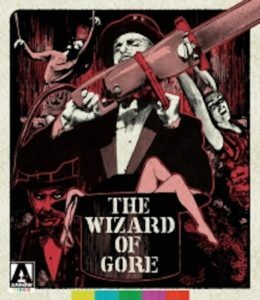 Nov. 13 comes The Wizard of Gore from Herschell Gordon Lewis. In the film, Montag the Magnificent wows audiences with his macabre magic act, but before long his volunteers start to wind up dead. Is Montag a modern day wizard or just your everyday serial killer? 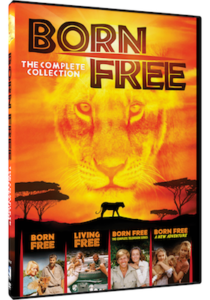 Special features include the 1968 bonus feature How to Make a Doll; feature-length audio commentary with Lewis and Mike Vraney; “Montag Speaks,” an interview with Wizard of Gore actor Ray Sager; Stephen Thrower on The Wizard of Gore; “The Gore the Merrier,” an interview with Jeremy Kasten, director of the 2007 Wizard of Gore remake; “The Incredibly Strange Film Show,” an episode of the cult documentary series focusing on the films of Lewis; the original theatrical trailer; and a reversible sleeve featuring original and newly commissioned artwork by Twins of Evil. 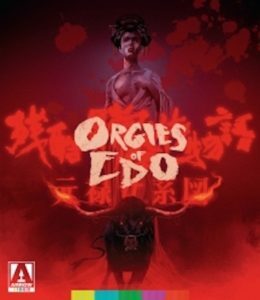 Due Nov. 20 is Teruo Ishii’s anthology Orgies of Edo, featuring three stories with a corrupt moral center. Politically incorrect, each tale is that of tragic heroines caught up in unspeakable violence. 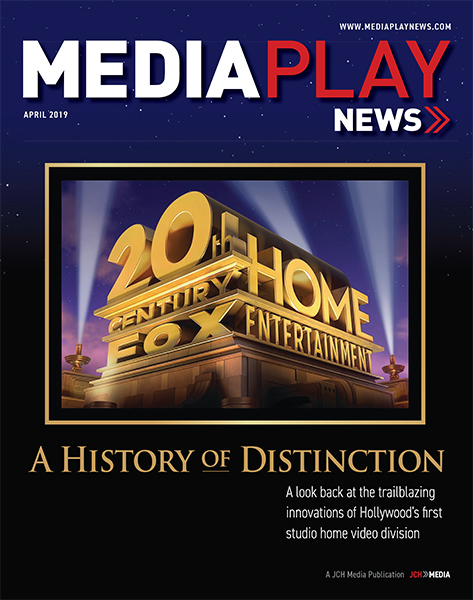 Special features include “The Orgies of Ishii,” an exclusive, newly filmed interview with author Patrick Maccias; the theatrical trailer; a reversible sleeve featuring original and newly commissioned artwork by Matt Griffin; and for the first pressing only, an illustrated collector’s booklet featuring new writing on the film by author Tom Mes.